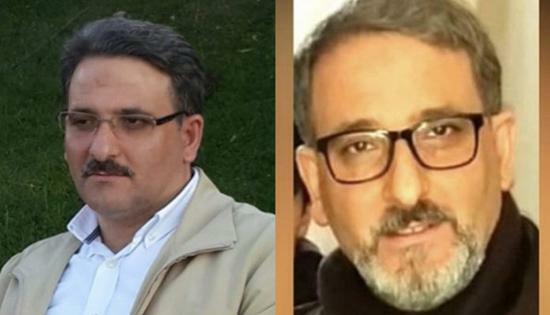 Olcay Kara, the wife of teacher Engin Kara, who was arrested in February 2017 and received a liver transplant a few days ago, has called for a postponement of his sentence due to health concerns, the MedyaBold news website reported. “He may die if he is not treated in a hygienic and stress-free environment. They keep 44 people in a ward designed for 20. My husband shouldn’t go back to jail,” she said, invoking a law governing the execution of sentences for sick inmates. A teacher of 22 years, Kara was arrested in February 2017 based on an accusation by an informant. He was sentenced to six years, 10 months in prison for alleged links to the Gülen movement, which the Turkish government accuses of orchestrating a failed coup in 2016. After scars appeared on his body, he was diagnosed with cirrhosis of the liver and required a transplant. The operation was successfully performed, using parts of his son’s liver. Kara’s wife said four members of the gendarmerie are constantly on watch at the entrance to the intensive care unit, where her husband is being treated. “Prison conditions aren’t appropriate for people who have just undergone surgery,” she said, adding that there are cases where inmates who were returned to prison after receiving a liver transplant developed cancer or died. “We requested a postponement of one year. The doctors say the slightest complication may end up in death,” she said.